Yes, just as simple as that. Looking at those colour could make my day and mood better. It's really hard to explain but I really love to have a whole instagram feed that is full of pretty colour like this. 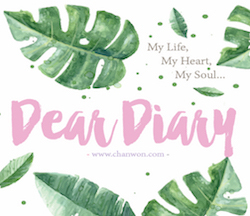 So, today I'm going to fill up my blog with pretty colour again! HAHAHAHA As long as I have a whole collection of pastel colour photo next time , please welcome me to share with all of you. 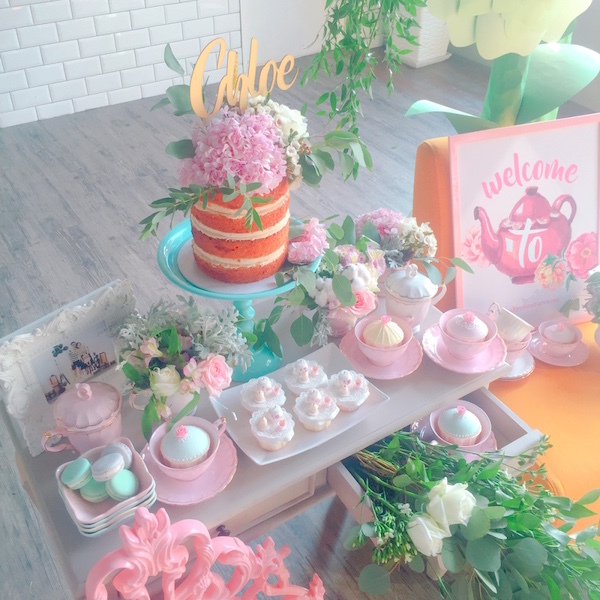 Attended #Chloeturnsone Birthday Party few days ago with Smelly. Thanks Kim for the invitation and it was a great day spending time with lots of kids and babies! Yes, the whole ambiance and setting was full of love , pastel and flowers. Not sure how long they spend on this but looking at all of these just...make me feel so happy. 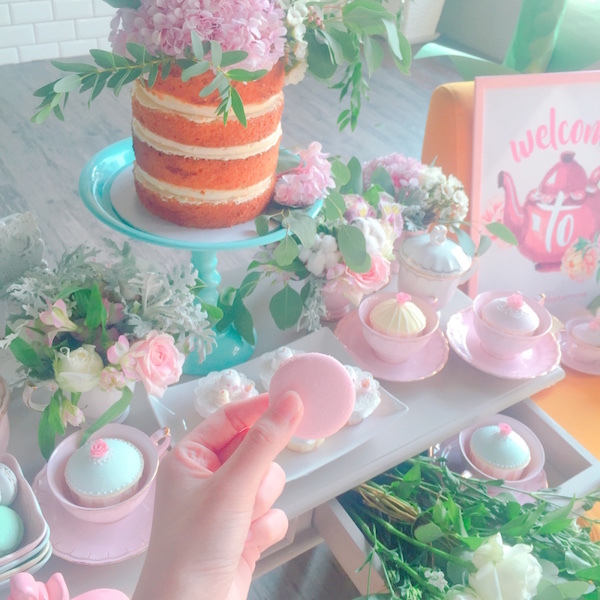 Get excited when I saw macaron on the dessert table too. This kind of photo just make my feed even better and peace. lol please allow me to express my love toward pastel and I can't stop myself from this. Couldn't stop myself from starring at this photo and I just good on it lol. OMG! 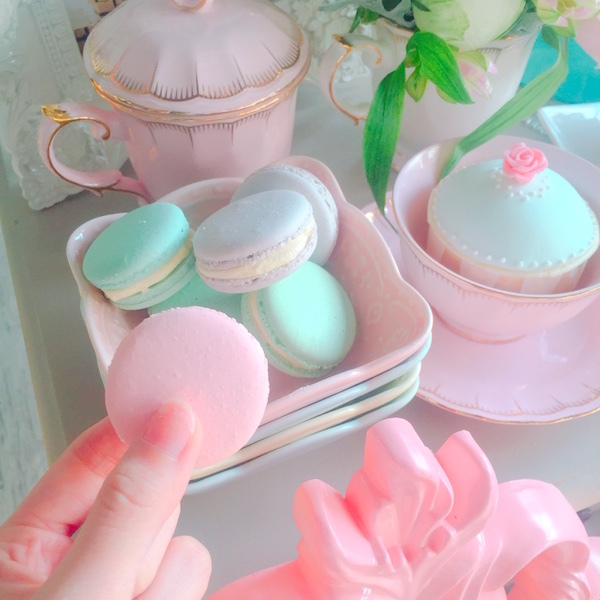 This even nicer when you take a closed up photo with pastel macaron. 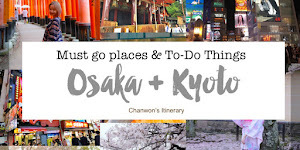 Alright please stay calm chanwon! Can I have a pastel backdrop like this at my room so I can just look at it and fall asleep immediately lol. 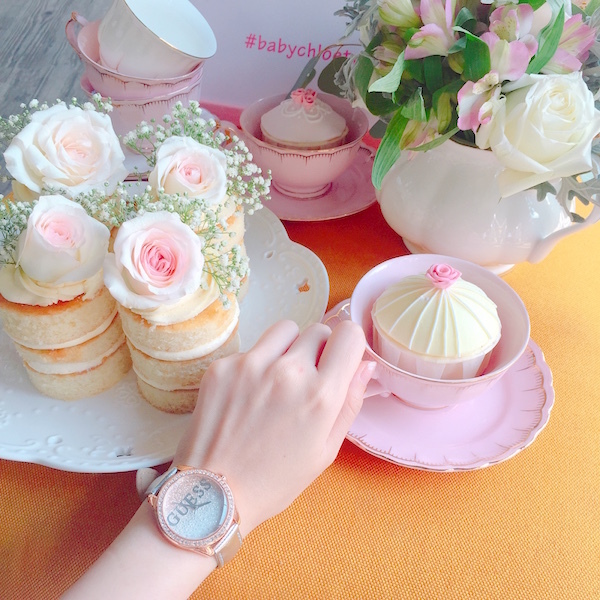 Then, the cakes also look super nice when there are a matching pastel cups and plate. WTF!! Where to get this? 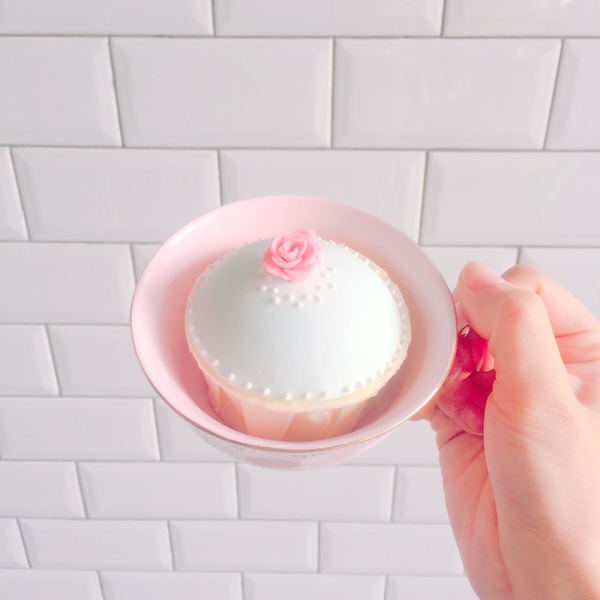 Can someone tell me where to buy this kind of pastel cups? I guess my life could be complete with this kind of cup HAHAAHAH! Omg slap me please I just ....can't control myself now! 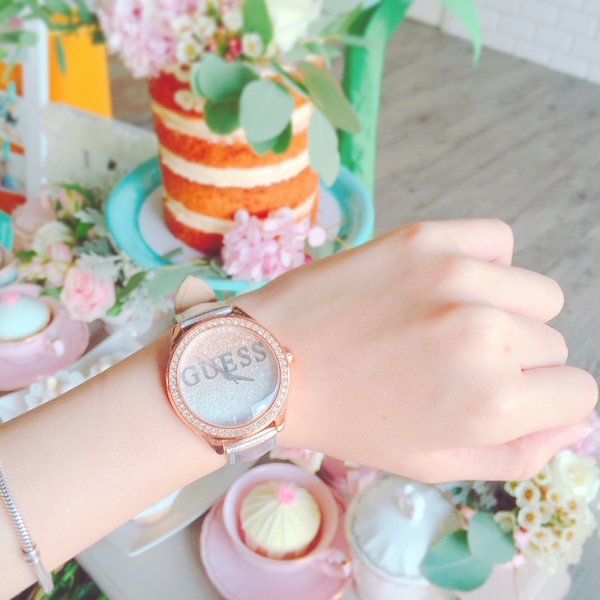 A big shoutout to this pretty watch from Guess Glitter Girl collection. OMG I'm not sure why but it looks so good with this kind of colour combination too. Never thought Guess would come out with this kind of pretty watches. It melted my heart and it's just way too bling bling bling!